Project Photos - Grid Anodes and Basket Anodes, Lead Anodes for Hard Chrome Plating, Decorative Chrome Plating, Anodizing. grids c/w 2 two 2" x 4" copper covered feed bars. C/W 1/2' X 4" X 28" copper encapsulated with lead. 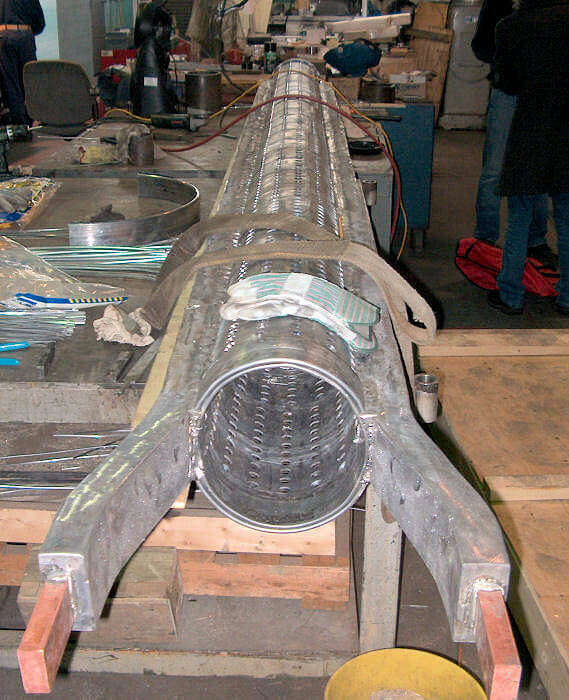 a 25" ID conforming plating anode. 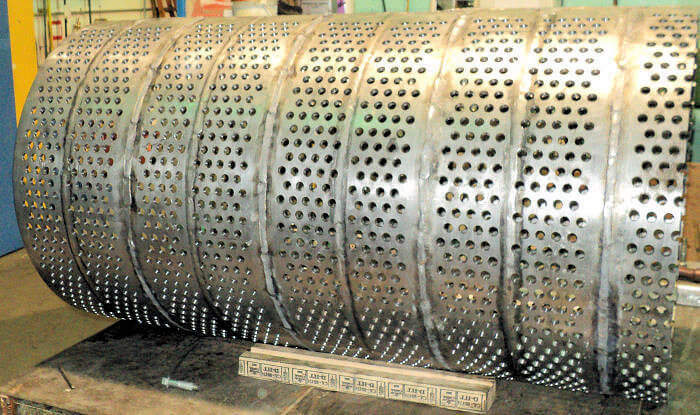 12 inch ID Custom conforming anode. 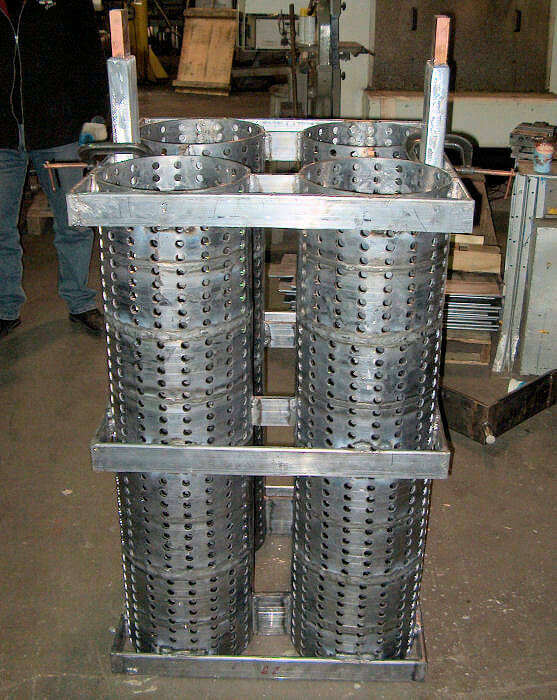 Basket Anode - Custom Made. Length 13 feet, 2 inches - 12" inside diameter.